While this easy fish curry is not nearly as surprising as fish curry with bananas, it does hold its own in the kitchen. For starters, it is cooked in one pan. Makes for easy clean up, right? It only uses 8 ingredients, plus the cilantro garnish. Totally doable. You’ll likely have many of the ingredients on hand already, especially if you are a fan of mouthwatering curries. All you really need to buy is 16 oz. of your favorite white fish. How do you choose the best white fish available? Begin with finding the freshest catch of the day. If you don’t consume fish very often, it may happen that you are put off by the “fishy” smell, that often flows into the flavor. Nothing wrong with that, some of us love the stinkiest of cheeses, others will pinch their nose and turn the other way. Experimenting with white fish, for example – cod, is a good way to ease into eating something that is both nutritious and delicious. It is quite mild in flavor and does not overpower the other herbs and spices that go into the dish. Fillets are the best for soups and curries, but if none are available fresh, the next best option is to buy them frozen. Give them enough time to thaw and soup will be on its way in no time. Love it and want to try another kind of fish curry? 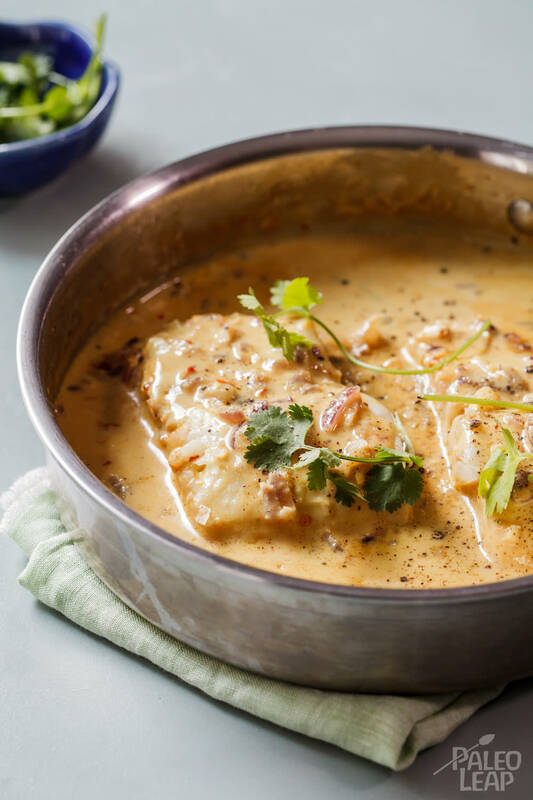 We’ll suggest tilapia with Thai curry, for the next time around. Melt the coconut in a hot pan, toss in the onion and fry until soft and translucent. Add the ginger and garlic, along with the spices, and fry for about a minute. Pour in the coconut milk, salt, pepper and lime juice. Bring to a simmer, then add the fish. Allow the fish to cook for 10 minutes in the sauce or until it flakes easily.